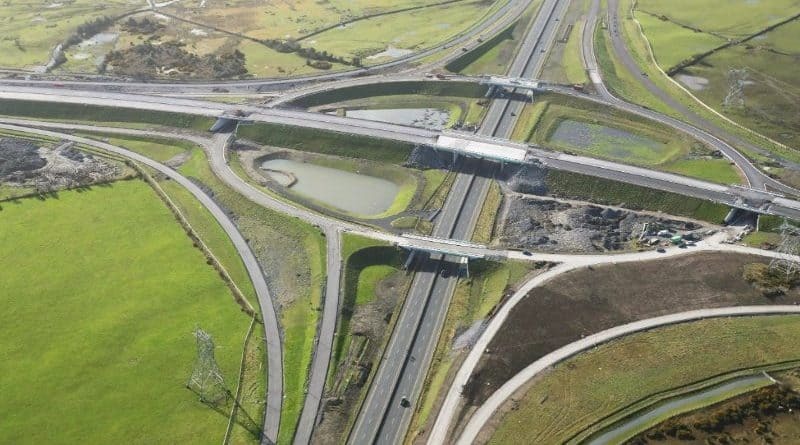 John Sisk and Son Ltd (“Sisk”), Ireland’s No1 provider of construction services with extensive operations across Ireland, the United Kingdom and mainland Europe, has today welcomed the official opening of M17 M18 Gort to Tuam Motorway Scheme. The new motorway has been delivered by the Direct Route Consortium*, which includes John Sisk & Son, two months ahead of schedule and on budget. It was officially opened today (Wednesday) by Mr. Shane Ross, T.D., Minister for Transport, Tourism and Sport, in the presence of Cllr. Eileen Mannion, Cathaoirleach of the County of Galway. “The 56km of new road will bring a huge improvement to connectivity west of the Shannon and multi-national companies like Apple are showing great vision in planning a major facility close to the new interchange on the M6 which is 180km from the M50, 69km from Shannon Airport and 80km from Knock Airport. It’s the type of development that is needed to counteract the regional imbalance and it is infrastructure like this that makes it possible,” he added.